I have to reiterate what I said on my first post, that I cannot guarantee that any particular thing will be featured here, nor offer any time frame for that. Once again, this is not a review site, but purely something from my own perspective and interest and I'm only likely to post about things that really stand out to me in some way or other, or that I feel particularly compelled to write about. And that is going to be very unique to my tastes... Sometimes I read rave reviews on other sites and go to listen to the samples and think, eh, it doesn't sound that great to me... and vice versa, where I love something that someone else wasn't crazy about. But that's just the nature of subjective artistic taste. But I really do enjoy hearing all kinds of different kids' music and checking out what other people are up to. And I am very much about looking for the good in things, so please feel free to send me what you've got, and if your music is something that I particularly like or can appreciate in some unique way, then I'll certainly try my best to feature it here at some point. Note: If you send me music of yours, I will consider that your permission is granted for me to add two or three short sound samples (usually 30-60 seconds each) to the article about you (if one is posted); to grab a picture of you from your website to use with the post; and to embed a video of yours if there is an embeddable video of yours somewhere like YouTube or MySpace. If any of that is a problem in any way, please let me know and I'll do whatever I can to accommodate your wishes or the requirements of your publishing company. I will only be using tracks that are originals from the artist featured or which are reworkings of traditional songs in the public domain. If you quote something from here, please attribute it as "-Eric Herman, CoolTunesForKids.com", with the active link (unless it's for a flyer, in which case it would be hard to make an active link!). Also, I don't mind if you cut pieces without using an ellipse or parenthesis, as long as the meaning isn't changed. For example, if I say, "Joe Schmoe's CD is really great and I enjoyed it while eating my baloney sandwich yesterday. It's a fun album for the whole family." 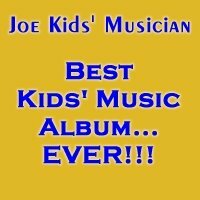 You can remove the part about the baloney sandwich (which you probably should) and quote that like this, "Joe Schmoe's CD is really great and it's a fun album for the whole family." You don't need the ... in the middle of that. Also, if I say, "It's a fun album for the whole family" and I'm referring to your CD called The Fun Album for the Whole Family, then you can quote it as - "The Fun Album for the Whole Family is a fun album for the whole family." You don't need to add parenthesis, as in "(The Fun Album for the Whole Family) is a fun album for the whole family." Now, using the parenthesis may be the proper journalistic etiquette for that kind of situation, but I'm giving you permission to not have to do that if you're quoting something from here. If you have any questions about any of this stuff, please feel free to ask. This was really, really funny. Especially the explanation about quotations and ellipsis, etc. It made me laugh out loud, which prompted my daughter to ask (as she so often does), "What's so funny, Dad?" Hi I was just wondering when you are going to re-open for submission? Thanks! Hi, Blair. I'm sorry, but I just say when that will be... I'm still trying to catch up on some of the backlog I already have. I'll definitely make a new post to announce that, though.